A Will is an important document which sets out the wishes of an individual regarding the distribution of their assets upon their death. 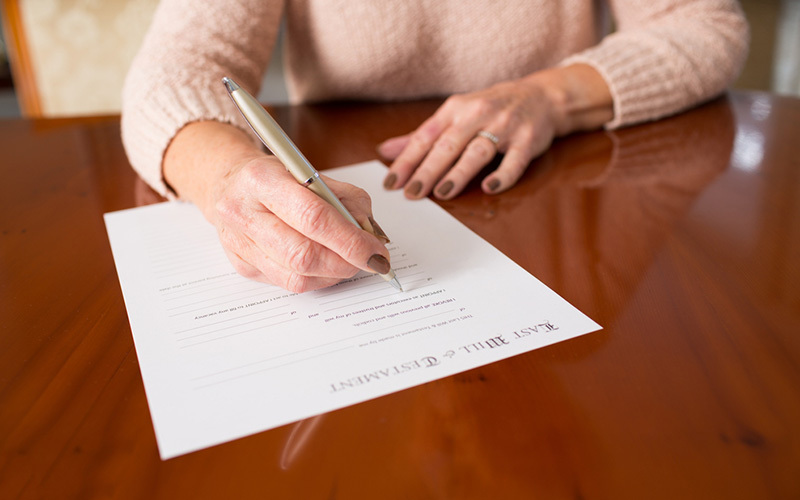 As The Succession Act requires that a Will meets certain formal requirements, it is highly advisable to consult a Solicitor when drafting a Will. If a Will is not made the Estate will be distributed under the intestacy rules. This means that friends and charities do not receive property. Accordingly if an individual wants friends or organisations to receive properties after their death, a Will must be made. 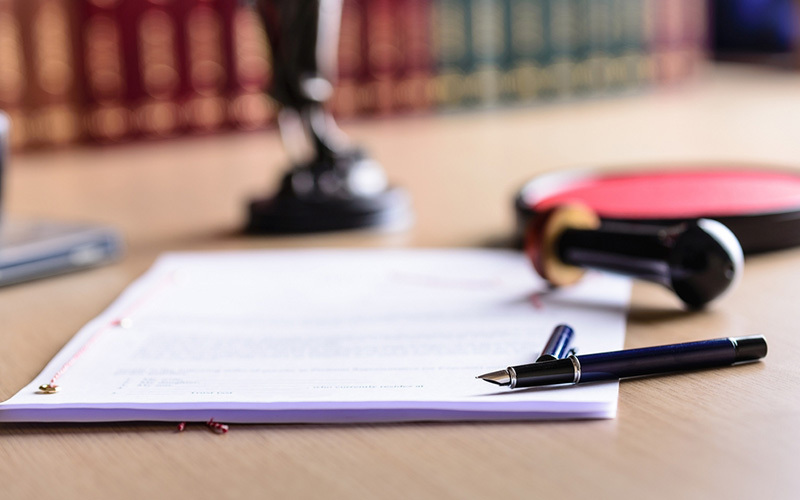 Challenges to the validity or interpretation of a Will involves Court action and can be expensive, delay the distribution of the Estate as well as potentially causing hardship to any beneficiaries in the meantime. If you are over the age of 18, of sound mind, memory and understanding, you are capable of making a Will. Additionally, if your circumstances have changed, for example your beneficiaries or executor have passed away or you have married or become a divorcee, it is essential that you take advice as to whether you should update your Will. Please contact Paul or Julia to arrange a mutually convenient time to discuss the preparation of your Will. The role of the Executor and Estate Administrator. Effective Estate Planning involves putting in place the appropriate structure to help manage your affairs in life and after death. We are experienced in all areas of estates and estate planning. Make sure that your estate is dealt with according to your wishes. Both Paul and Julia have long experience of administering estates including many of a complex nature involving interstate and overseas assets, winding up trusts, answering superannuation succession and the transfer of properties and assets. You can feel confident that the will is competently administered. Where a widow, spouse, child or dependent of a deceased person believes that inadequate support has been made for their proper maintenance and support they can apply to the Court for an Order for provision to be made out of the Estate pursuant to Part 4 of the Succession Act 1981. The term “spouse” includes the husband, wife, de facto partner as well as a dependent former husband or wife. The term “child” includes a step-child or adopted child and a dependent includes a deceased persons parent or any person under 18 who was wholly or substantially maintained or supported by the deceased at the time of death. Under the Succession Act 1981 the Executor or Administrator of an estate may distribute the Estate after six (6) months from the date of death if they do not have notice of any application or intended application for family provision. Section 41 (8) of the same Act stipulates that a proceeding for provision must be instituted within nine (9) months after the death of the deceased. However it is clearly prudent to give notice or institute proceedings within six (6) months of the date of death. 4.The relationship between the deceased and other people who have a legitimate claim. 3.A contract to make a Will- if the deceased had contracted or agreed to make a Will in a certain way. Quite clearly in matters of this nature time is of the essence. To provide meaningful advice Paul and Julia must be in possession of all of the facts or as much information as they can possibly glean. If you believe that you have a valid claim then you should move very quickly so that notice can be given within the six (6) months period and proceedings instituted in not more than nine (9) months from the day of death.